10 Days in Italy is a good amount of time to see a few cities, do some good shopping, and eat all the food. One of the main reasons I wanted to explore Italy this past summer was so that I could go on a bit of a food pilgrimage. I’ve been to Italy twice before, once to Rome and once to Milan, but I was much younger and far less interested in the quality and source of my food. This time around, I wanted to savor the sauces, enjoy platters of local cheeses and artisenal cured meats. I wanted to have real balsamic vinegar and then find a few things to keep me occupied and distracted between meals. There are so many places to spend a week in Europe, but I wanted to focus my time to one country and even more specifically, one region of that country. For me, the only place to head for this food pilgrimage was the Emilia-Romagna region, particularly Bologna. I also added a few short days in Venice, because Venice, another few days in Florence, and a day trip to Pisa. I felt like this was a perfect 10 day itinerary for Italy. 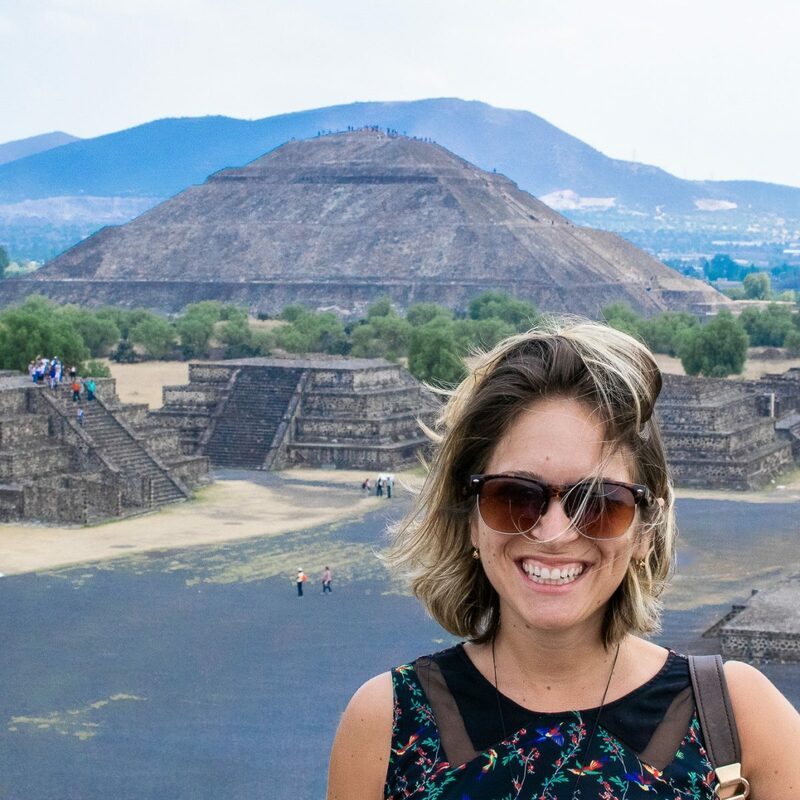 I saw a ton, ate even more, saw some seriously beautiful parts of Italy, and managed to balance tourist attractions with off-the-beaten-path stuff, too. Two days in Venice is a good amount of time to get to know the city, see some of the beauty, and then to get away from the all of the tourists before you go insane (just me?). Venice is crowded, especially during the summer months. It’s a city of 260,000 people that receives over 20 million visitors each year. You can imagine what that looks like on such a small island with very narrow streets. Don’t get me wrong. 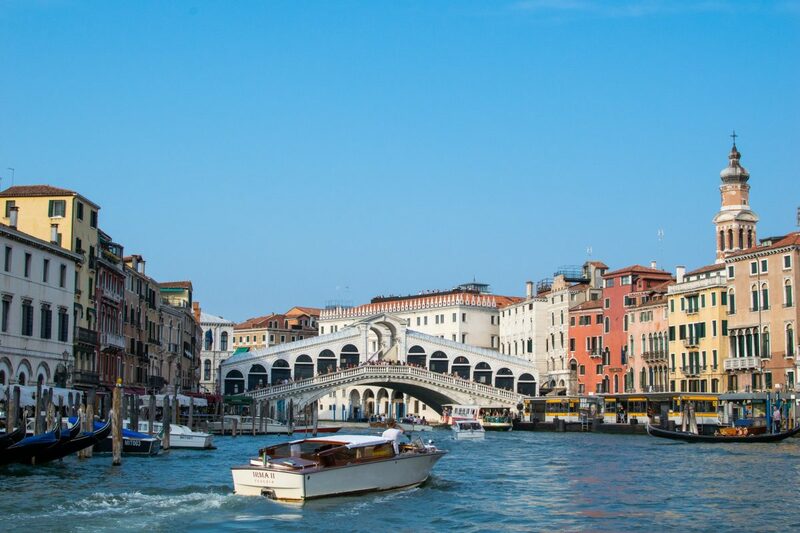 Venice is beautiful and it is worth your time and money (you’ll need plenty of the latter to see it well!). However, compared to everywhere else I’ve been to in Italy, it is seriously crowded and the sellers, restaurants, shops, and random Italians want your money and not much else. It just doesn’t feel like the rest of Italy. I absolutely loved the Airbnb I stayed in during my stay in Venice. It was right near the Rialto Bridge, close to tons of great restaurants and a ferry stop that regularly had vaporetti stopping at it. Be sure to get yourself a multi-day ferry ticket to save money on those pricey boats! For more information about how I spent my two days in Venice and where you should eat while you’re there, check out my complete itinerary blog post on Venice here. Bologna is perhaps one of my new favorite European cities. It’s a little bit grungy. It doesn’t have the glamour of Venice or the huge list of activities like Florence. Instead, it was all about the food here. Sure, there’s plenty to do in Bologna. There’s also a ton of great restaurants in Bologna. I literally did not have a bad meal in this city and I look back on it and wonder when I can get back there. It’s a city where people live. It’s a city with vibrancy and great shopping. It has markets where people go to buy their fresh produce and enjoy a little espresso while they’re there. It’s a city with good public transportation, but it’s also very walkable. They have some of the most spectacular local produce thanks to its proximity to Modena (balsamic vinegar). There are delicious local wines to try, and have I mentioned the food? I also loved the Airbnb we stayed in while we were in Bologna. It was about halfway between the Bologna train station and the main square. In less than 10 minutes you can be at the cathedral. There are some seriously good restaurants and bars around where the Airbnb is. It’s also right next to a big supermarket. The apartment has a kitchen, so you can self-cater should you feel like you’ve been eating too much meat, cheese, and pasta. 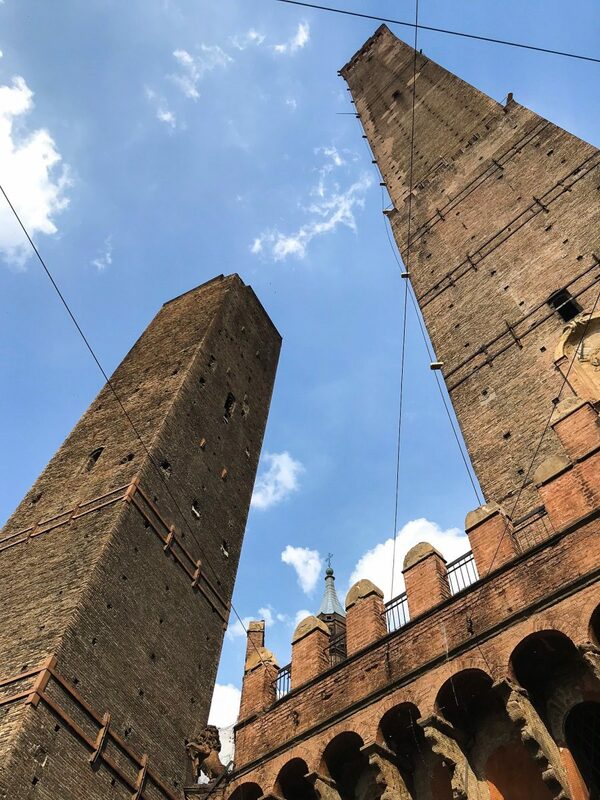 Some of my favorite places in Bologna were the Archiginnasio, the two towers (pictured above) which you can climb, the Santuario di Madonna di San Luca, and the views from San Michele in Bosco. What is there to say about Florence? It has it all – delicious food, a great bar scene, beautiful scenery, fascinating museums, and churches for every day of the week. I have yet to put together a post about how I spent my time in Florence. When I do I’ll post that here as well as an article about the best restaurants to eat at in Florence (there are A LOT). 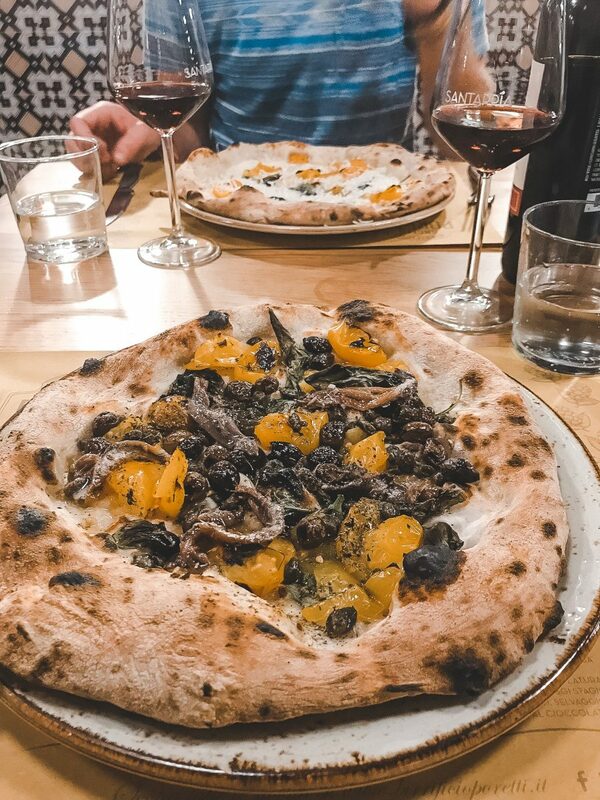 However, I have written about the best places to eat in Florence which is basically the most important thing anyway. Watch the sunset at Piazzale Michaelangelo. Top tip: bring your own beer or wine from a shop before climbing up the hill, it’s way more expensive at the top. Explore Museo Galileo. If you like science or history in general, you’ll likely be just as fascinated by this museum as Luke and I were. Galileo’s telescopes are there. Some of his first inventions, as well as other inventions you probably didn’t know, were created by Italians. We spent about an hour and a half here – perfect for when those summer downpours come over the city. Visiting Santa Croce. The church of the holy cross was one of my favorites in Florence. It’s the resting place of some seriously notable Italians including Galileo, Michaelangelo, and Machiavelli. It’s also incredibly ornate and quite beautiful inside. We spent about an hour and a half inside including enjoying the gardens for a little while. Learn about the Medicis at Basilica San Lorenzo. It’s one of the more expensive churches to visit (I think it was 11 Euros). The ticket includes the Medici Library as well as the Basilica. It was built for the Medici Family and has some of the most incredible art in it that I’ve seen outside of a museum. The library is also pretty incredible – pay particular attention to the staircase as it was designed by Michaelangelo himself! We spent about two hours here including waiting in line for our ticket. Take a trip to Fiesole. It’s about half an hour from Florence by bus and is such a gorgeous little town. There are Roman ruins there and the best pistachio gelato I’ve ever had in my life. We didn’t go inside the Medici Chapel which is just behind the Basilica because it was another 7 Euros, but I’ve heard it’s pretty spectacular and has more designs and drawings from Michaelangelo. 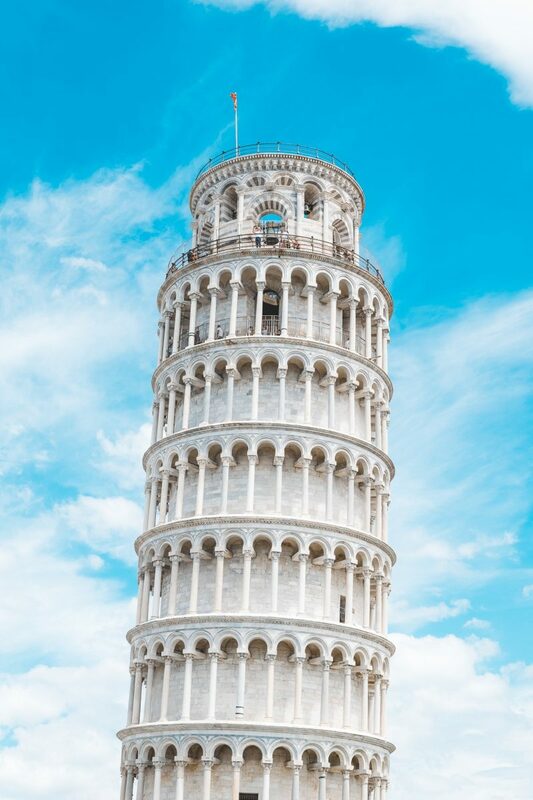 Pisa is well worth a day trip. You can definitely spend tons of time here. We ended up just heading to the small city for about two hours to see the tower up close before heading back to Florence to eat more good food (we were in Pisa on a holiday, so not many restaurants were open). If you want to go up the tower or go into the church or go into any of the buildings, then buy your tickets before you arrive. Even the line for tickets is long. If you can avoid it and simply choose your time slot, you will spend a lot less time waiting. That will give you way more time to watch people hold up the tower in their photos. If you’re heading to Italy during the summer months, you definitely want to make sure to pack accordingly. It’s incredibly humid in most of Italy during July and August. That means also booking a place that has air conditioning! 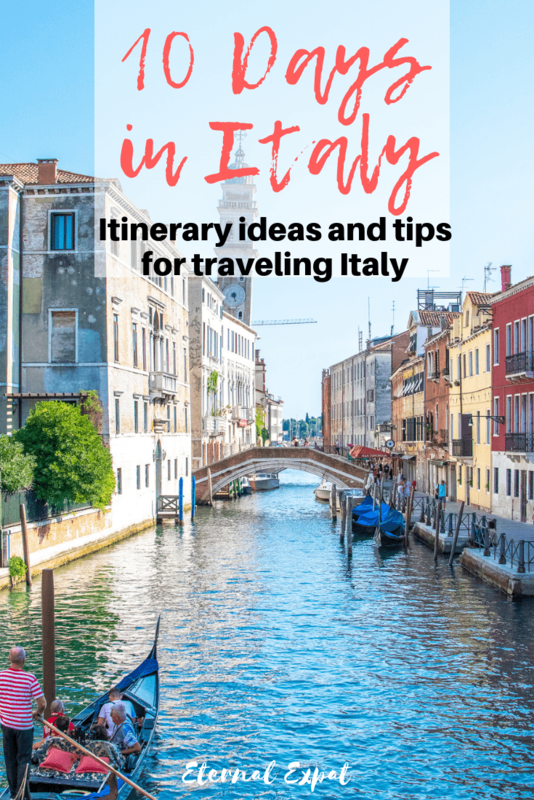 Check out my post about what to pack for Italy in summer here. Another thing to note about traveling to Italy in August. It’s one of the busiest times for tourists, but its also when most Italians go on vacation. The 15th of August is a holiday and we found that a ton of restaurants closed down for that entire week. Some closed for that week and the week after that. One restaurant that we really wanted to try in Florence was closed for the entire month of August! Plan accordingly. Trains are a really great and affordable way to get around Italy. I highly recommend checking prices beforehand. I didn’t realize that the price of the ticket changes leading up to the date of departure. You can prebook them at the machines in any of the country’s train stations or you can book them online. Most churches around the country require that you have your arms and legs covered. This goes for both men and women. 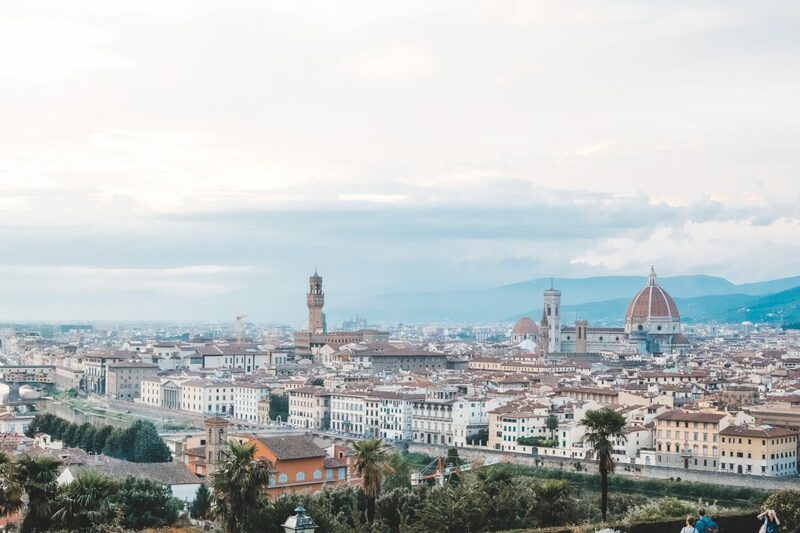 It’s not a difficult task during the cooler months, but if you are traveling to Italy during the summer, make sure you plan your outfits for the day based on what sites you’re visiting. I wore midi-length skirts and dresses on days when I knew I was going to visit a church and then I packed a t-shirt that I could toss on top just before I went inside if I was wearing a tank top. There’s usually a charge added to your bill at most restaurants which includes your bread and water. Tips aren’t compulsory. This guide on Lonely Planet has some good advice on tipping etiquette around Italy.